Posted By:Unknown | At:2:41 PM Be the first to comment! 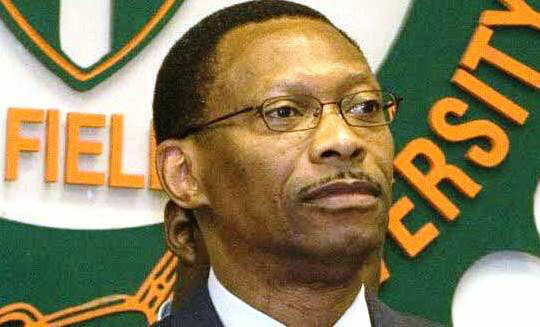 TALLAHASSEE, Fla. (AP) — Florida A&M President James Ammons has resigned the same day parents of a drum major who died after being hazed added the university to a wrongful death lawsuit. Ammons resigned Wednesday in a letter to the university governing board. Robert Champion died in November after being beaten by fellow band members during a hazing ritual aboard a bus parked outside an Orlando hotel following a football game against the school’s archrival. Eleven FAMU band members face felony hazing charges, while two others face misdemeanor counts for alleged roles in the hazing. They have pleaded not guilty. Champion’s death put a spotlight on hazing at the school and led to the suspension of the band until at least next year. The lawsuit brought by Champion’s parents claims FAMU officials didn’t take enough action to stop hazing.